Webern’s Six Bagatelles for string quartet, Op. 9 (1911-13) represent a critical step for the evolution of atonal musical techniques. They also mark a critical step for the composer, who in his attempt to realize the ideas of his mentor, Arnold Schoenberg, emerged as a true original. For several years, Webern had doted on Schoenberg personally and artistically. When Schoenberg wrote his Six Little Piano Pieces, Op. 19, in 1911, Webern noted that some of the movements lacked contrast. While Schoenberg apparently gave little thought to the implications of his new work, Webern wrangled with this problem of contrast in the still-emerging language of atonality. Later that year, Webern wrote the internal movements of Op. 9, considering the result as his second string quartet. In the following year Webern followed Schoenberg to Berlin, where the revered master composed his epochal Pierrot Lunaire, which featuring the Sprechstimme (song-speech) technique. 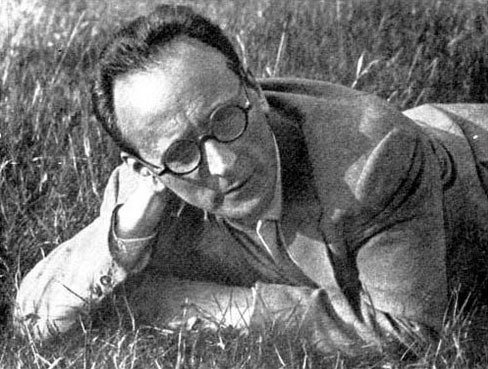 Webern presently composed three movements for string quartet, the second of which featured a Sprechstimme setting of his own poetry. Schoenberg, who had composed a string quartet with the addition of soprano in 1908, was no doubt painfully aware that Webern was in danger of becoming a faceless copycat. Schoenberg’s response was to not comment on Webern’s new work at all. Hurt and dismayed, Webern eliminated the Sprechstimme movement and used the two remaining movements to bookend his second string quartet.Schoenberg was very pleased with the result and even provided a glowing preface for its publication. The Six Bagatelles require about five minutes to perform. One difference between Op. 9 and Webern’s previous quartet, Op. 5, is that the earlier work contains movements built from sections and contrasts — in that sense, much in the spirit of Haydn. However, the movements of its successor are through-composed, not sectional, and there are no contrasts that require resolution. The level of musical tension is, nonetheless, very high; the work achieves this effect because the material in the first two measures provides ample opportunity to highlight and juxtapose individual musical gestures, and the dramatic envelope is controlled by the density of such activity. 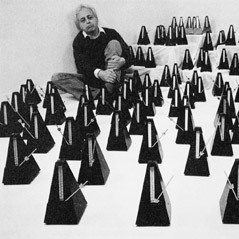 “Crucifigatur” — “Crucify him!” — is part of the suite “Seven Improvisations for Organ” by the Swedish Composer Torsten Nilsson (1920-1999), organist, composer and the choir master of Oscar’s Church in Stockholm for about 20 years, where his Good Friday oratorio “Nox Angustiae”, of which “Crucifigatur” forms the overture, received its premiere in 1968, achieving cult status during the years to come. “Nox Angustiae” — Night of Anguish — which depicts the rage and chaos of the original Good Friday in a expressionist manner, is scored for double chorus, vocal soloists and large organ. To add to the experience, the work was always performed in a darkened church at midnight between Maundy Thursday and Good Friday. The performers read the music by faint blue light, but the rest of the church was in complete darkness except for the projection of a graphical leaflet on the ceiling of the church. This recording was made in 1986 by the Swedish Radio, as part of a live broadcast performance of Nox Angustiae by the Täby Church Chamber Choir under Kerstin Ek. Organist: Peter Bengtson. Torsten Nilsson studied at the State Academy of Music, Stockholm 1938-1942, graduating as a church musician and music teacher. He continued his studies with Anton Heiler in Vienna (composition and the organ, 1961 and 1965). As an organist he was also a pupil of Alf Linder. He was organist in Kšping 1943-1953, of St. Mary’s Church, Helsingborg, 1953-1962, and was appointed organist of Oscar parish, Stockholm, in 1962, resigning from this appointment in 1979. He was also the director of the Oscar Motet Choir until 1984. He was Teacher of liturgical singing at Uppsala University, 1966-1970, and at the Stockholm Theological Institute, 1964-1970. He was also teacher of music theory at the Stockholm Citizens? School 1962-1973. Where Torsten Nilsson is concerned, music does not have any single fount, its sources of inspiration being varied and complicated. Beauty, sensualism and eroticism have their contentious antitheses in anguish, paralysis and fear of death. In character his music often comes close to the scream of desperation, and the masterly composer for the organ has also developed an abundant vocal language. His melodies also glide into elevated, sensuously warm atmospheres. His intense, orgiastic imagination is reflected by the culmination of his music in ecstatic outbursts of sound and dance-like climaxes.